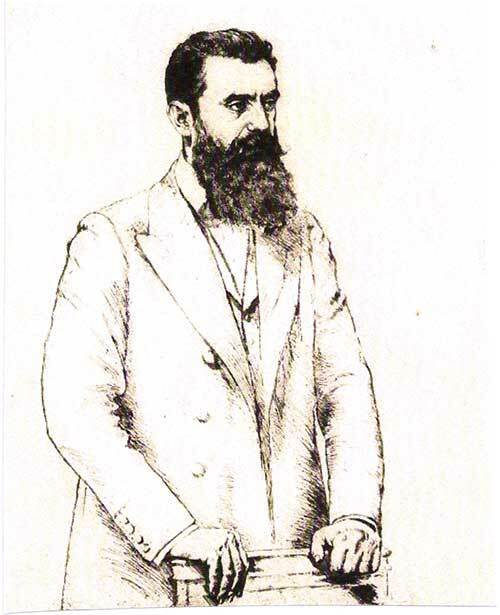 Herzl, calling for a Jewish state in Palestine, said: "If you will it, it is no dream". 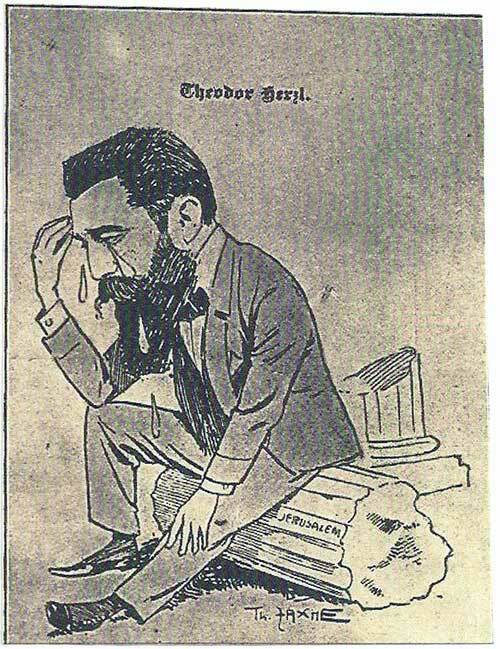 Herzl lamenting on the remains of the Temple in Jerusalem. 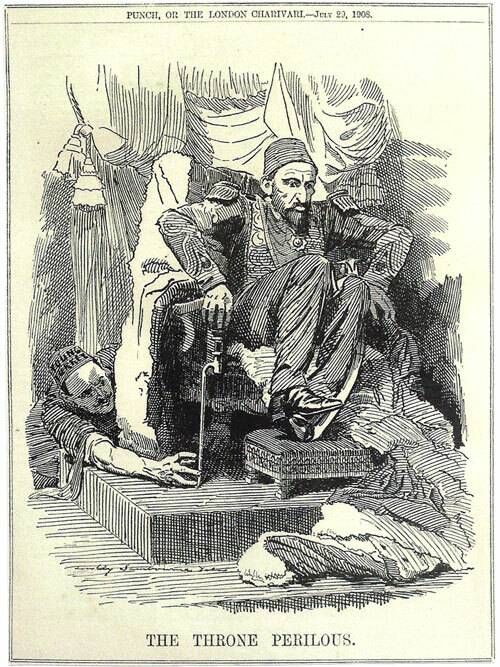 "At Basel I founded the Jewish State". 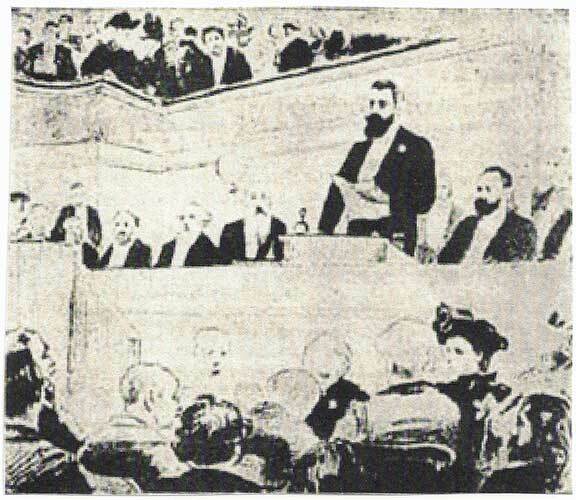 Theodor Herzel, presiding over the first Zionist congress in Basel, Switzerland, 1897, calling for the creation of a home in Palestine for the Jewish people. 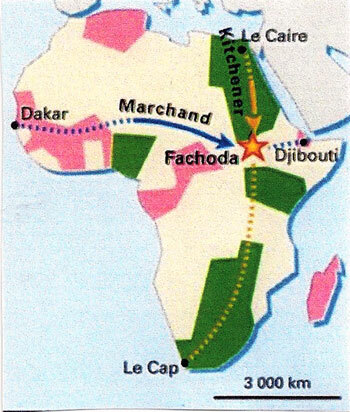 to the Upper Nile would be viewed as 'an unfrendly act'. 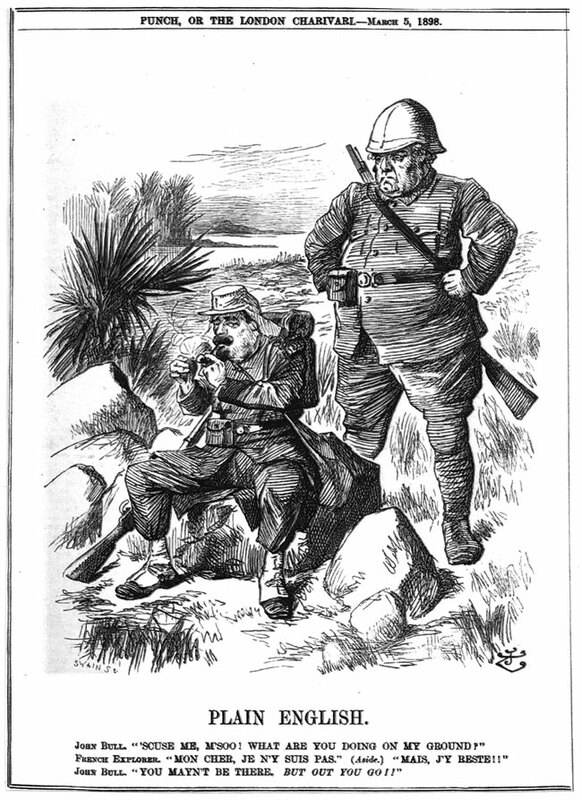 French cartoon showing Albion as the big bad wolf and France as little red riding hood. 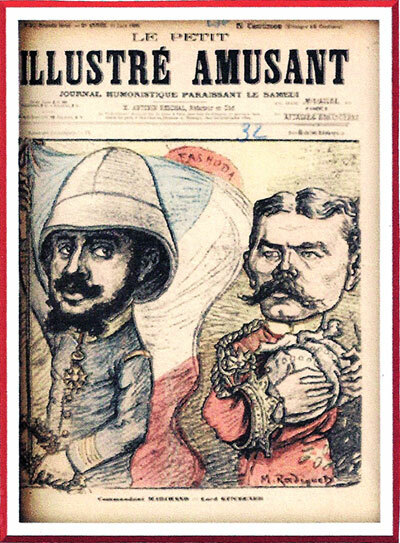 The Protagonists: General Kitchner of England and Major Marchant of France. 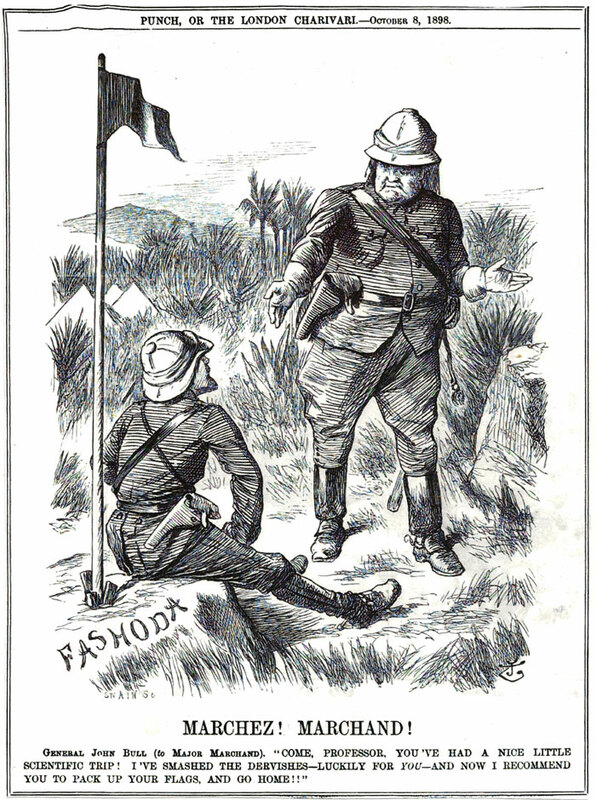 The British issue France and ultimatum: that France would have to evacuate Fashoda unconditionally or face war. 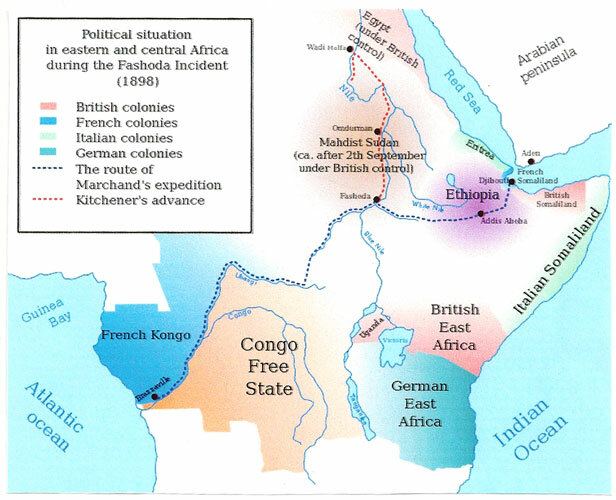 closest France and Great Britain went to war since Waterloo in 1815. 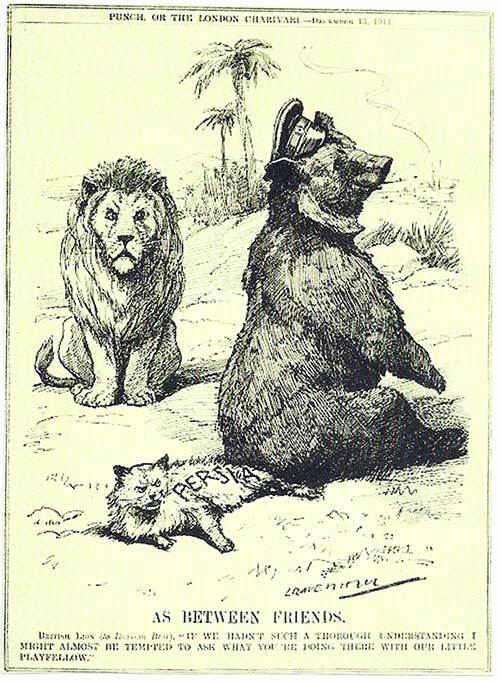 The Cartoon which set Europe ablaze. 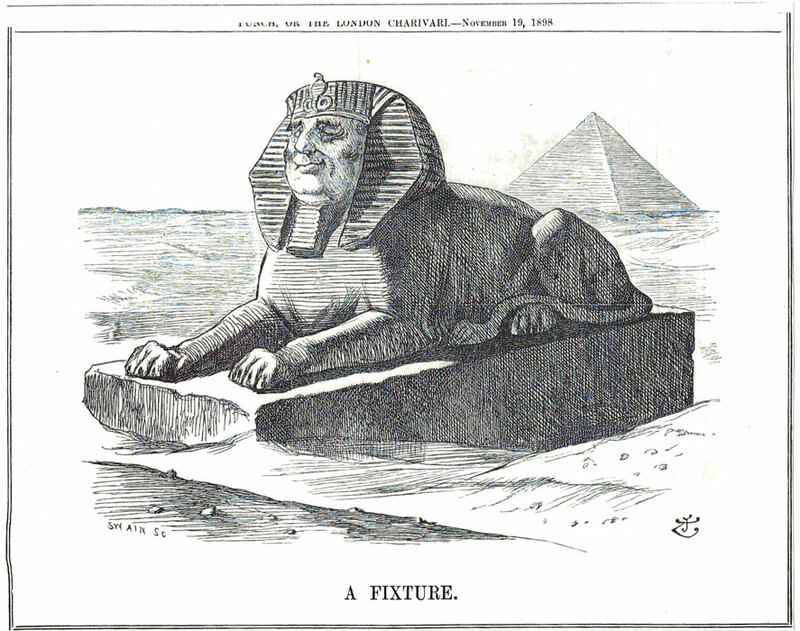 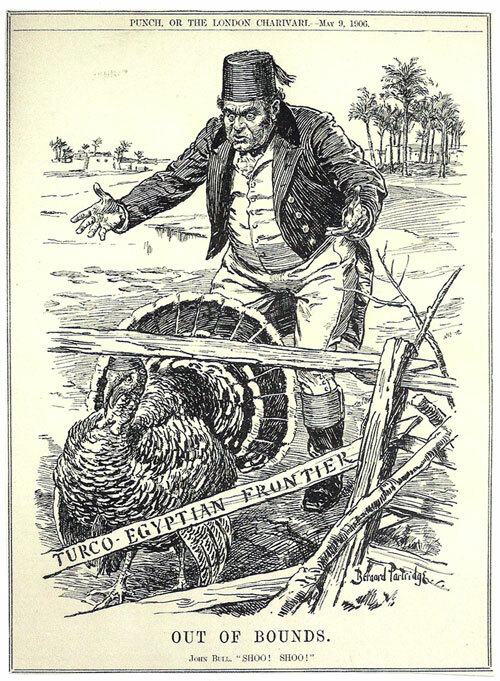 Notice to France: "I, John Bull sit on Egypt's land solid as a fixture". 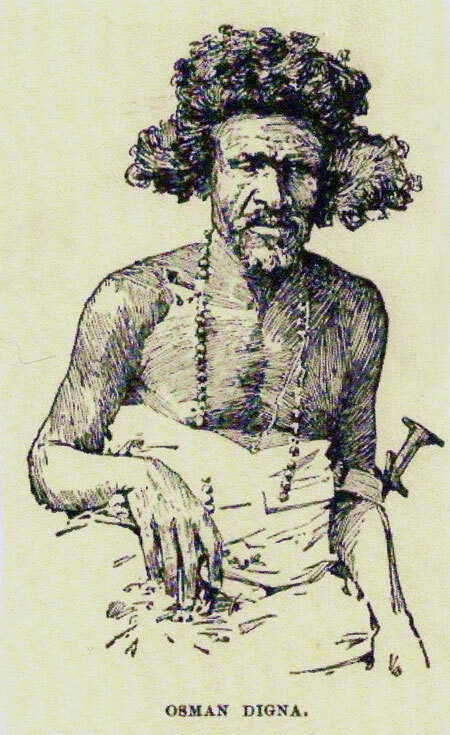 Winston Churchill wrote of Osman "the celebrated, and perhaps immortal, Osman Digna", due to his many escapes and evasions. 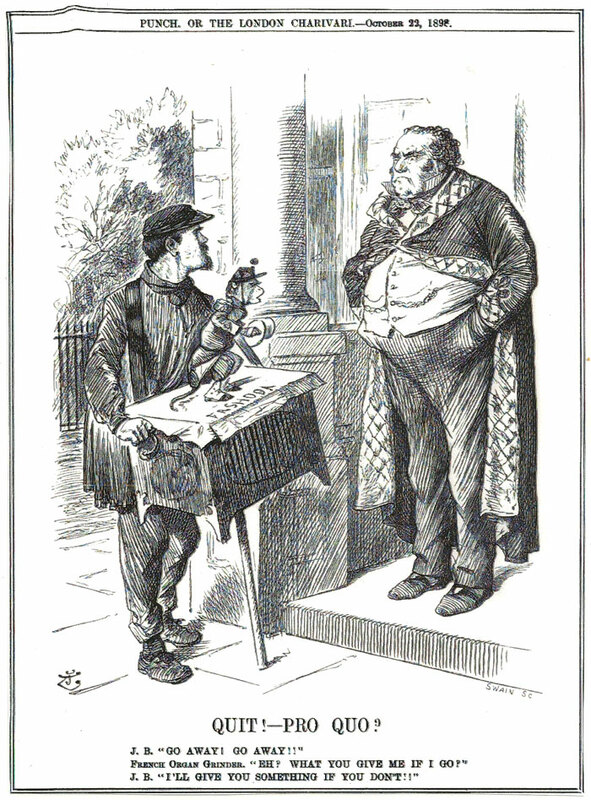 The Sirdar is perhaps refering to the Earls Court exhibition show in London to display Osman. 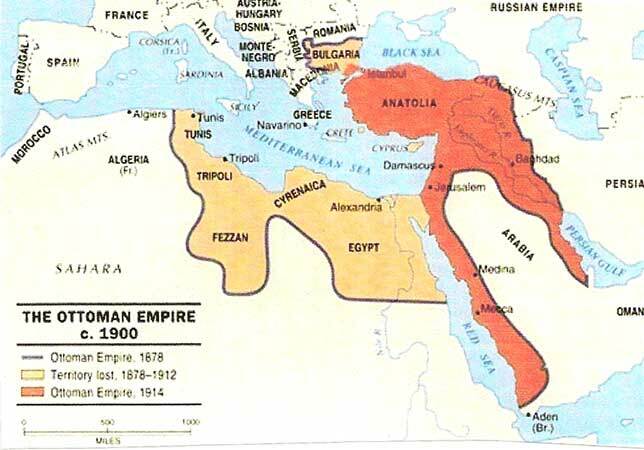 are the most fierce, brave, daring and unmerciful race of men in the world". 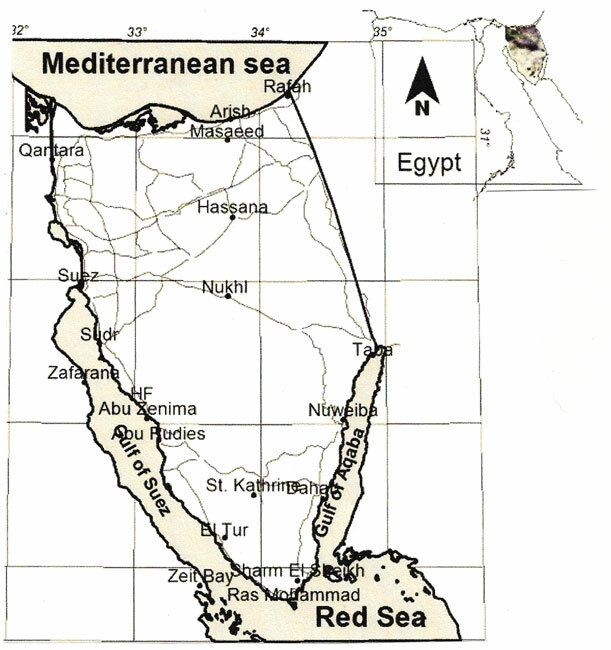 over the line of demarcation between the Sinai Peninsula came close to war in 1906. 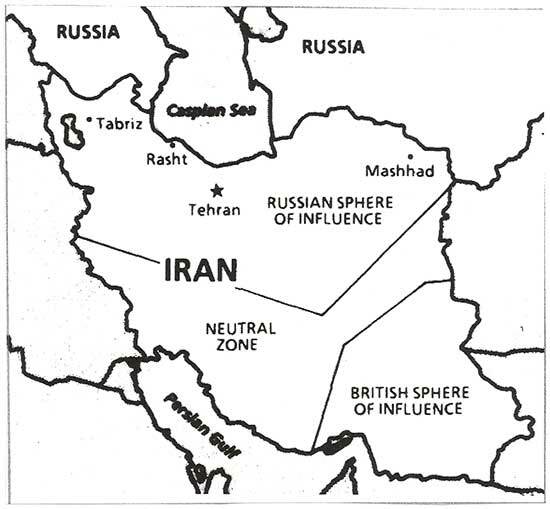 Taba incident 2 would come 75 years later. 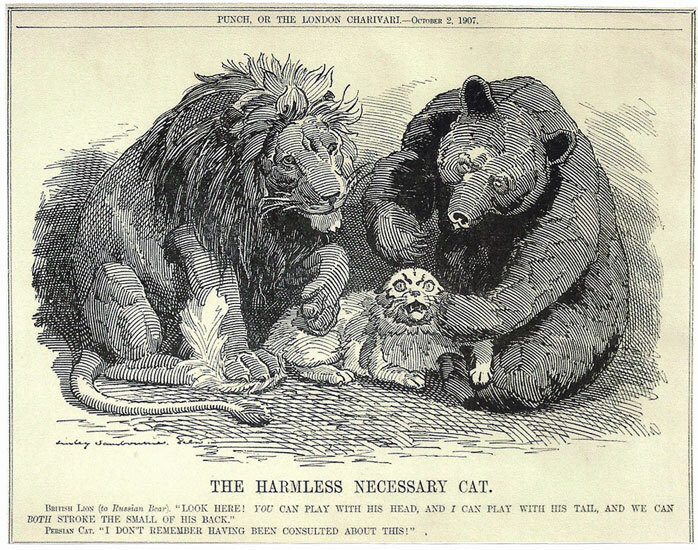 Caption: British lion to Russian bear, "If we hadn't such a thorough understanding I might almost be tempted to ask what you are doing there with our little playfellow". 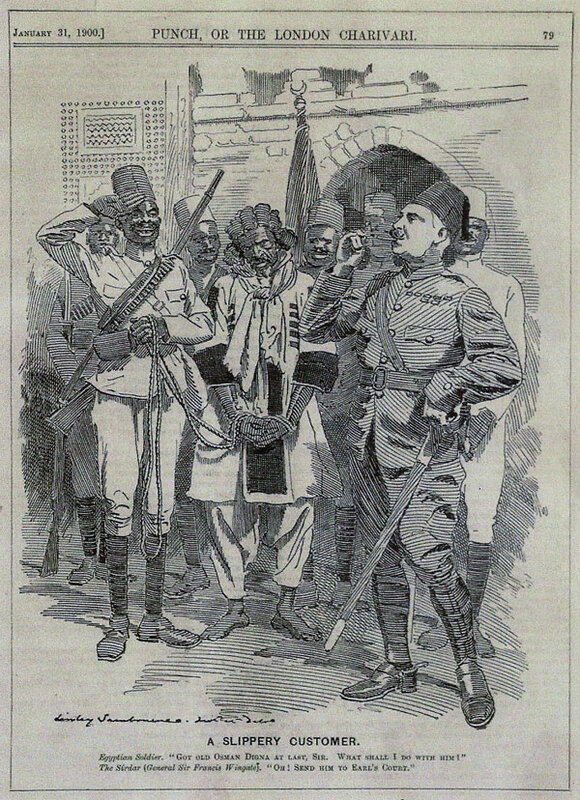 Young Turk tipping the Sultan Abdulhamid II off his throne.